Oaklands Wolves picked up Championship win number nine in Essex. Oaklands Wolves returned to winning ways with a 77-60 victory over Essex Rebels, on the road at Essex Sports Arena. Having already had their benecos WBBL Play-Offs place confirmed yesterday, Oaklands will hope to carry the momentum earned from today’s game into next week’s home clash with fellow post-season qualifiers Durham Palatinates. Meanwhile, at the other end of the table, Essex remain rooted to the foot of the standings. Turning point – The Rebels found themselves in foul trouble, early in the third quarter, and the visitors took full advantage. The Wolves turned up the aggression and attacked the basket with regularity, earning plenty of free throw attempts. Key stat – Oaklands were able to keep the home side quiet for much of the second half and held them to just eight points in the final quarter. Only Waithe managed to score in double-digits for the Rebels. 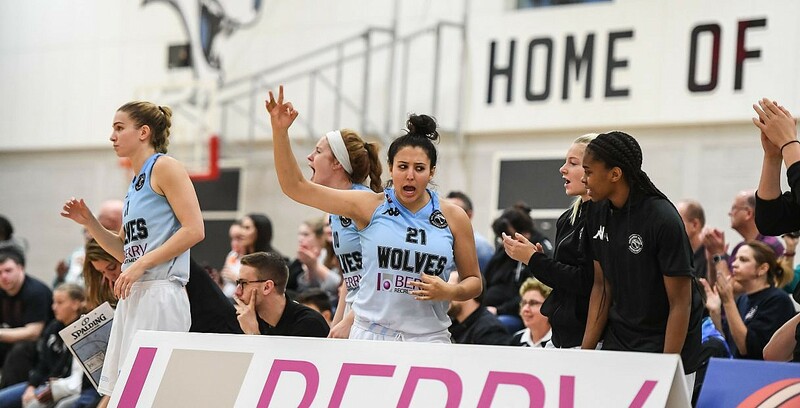 Game hero(es) – Pritchard, Schluter and Freeman combined for 36 of their team’s 77 points, in what proved to be a balanced scoring display from the Wolves.